Google is an invaluable tool when it comes to searching the Internet. Typing a search query into this search engine produces a list of relevant websites instantly. Google is available on desktop computers, laptops, smartphones, tablets, and more recently on televisions. Internet connected TVs have brought the web to the home theater, and by doing so, made the home theater space another area where you can access your favorite websites. Most web-enabled TVs lack a full web browser and typically rely upon an application package consisting of services like Netflix, Pandora, and YouTube. TVs powered by Google offer a much more robust Internet experience since the entire web is accessible. What is Google TV? Google TV is a web enabled television that features the Google Android operating system and the Chrome web browser. The browser is fitted with the latest flash player from Adobe (v.10.1). Once the TV is connected to a broadband connection wirelessly (it features built-in Wi-Fi), it is ready to explore the Internet. Everything you could do online from a computer can now be done from the television. Using the remote control, enter a search query or type in a web address into the browser and view the website. You can stream videos, play games, chat, view photos, and catch up on news. The interface is user friendly, with a home screen that features your favorite channels, websites, and apps. You can create bookmarks to easily navigate to frequently visited sites and create playlists for online video content. The main problem with Google TV is that, depending on the size of the TV, the text of most websites may not be displayed on the screen well enough to be read. If you sit really close to the TV, this may not be a problem, but for those that sit at the recommended viewing distance, it may be difficult to read website content. Another downside is that the controller may be a bit cumbersome for navigating the web, especially when compared with the ease of using a mouse and keyboard. The main feature of Google TV is similar to the 'picture in picture' feature of most televisions. 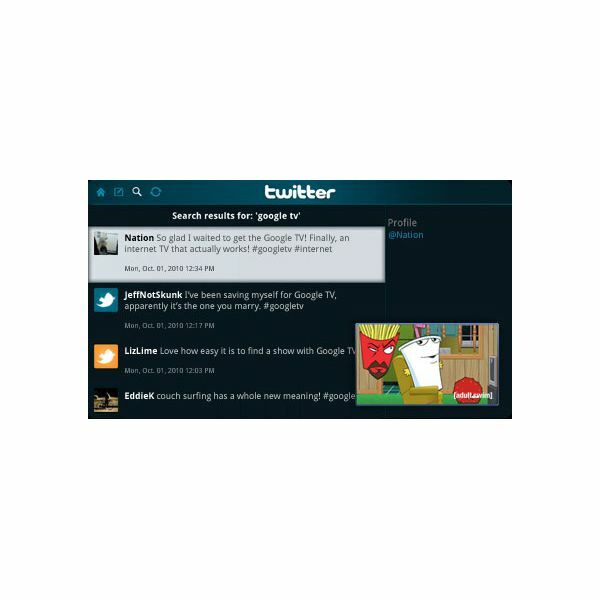 However, instead of viewing a second television channel, Google TV displays the Chrome web browser. So as you watch TV, you can browse the Internet. It is ideal for expressing your opinions on a particular TV show on a forum or viewing what others are saying on Twitter. Google TV comes pre-loaded with several apps including the streaming video service, Netflix, and the music streaming service Pandora. NBA Game Time, CNBC, and Amazon Instant Video and Gallery are a few more apps available. Some of these services require a membership to access content. Control Google TV with your smartphone. Use an iPhone or Android smartphone to change the channel or search the Internet. If you have Google Voice Search on the phone, use it to search the web by simply speaking and then have the results displayed on the television. Another great compatibility feature between smartphones and Google TV is Fling, which lets you transfer whatever you are watching, listening to, or playing on the smartphone to the television by pressing a button. 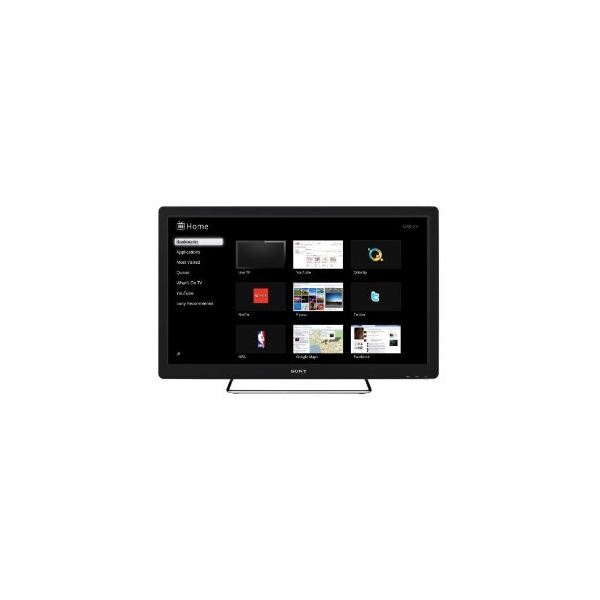 Google TV is currently available on a few high definition televisions manufactured by Sony. There is a 24" model (NSX-24GT1), 32" model (NSX-32GT1), 40" model (NSX-40GT1), and a 46" model (NSX-46GT1). Each one is a HDTV with 1080P resolution that comes with a qwerty keyboard controller. Models 32" and larger feature Edge LED backlighting. 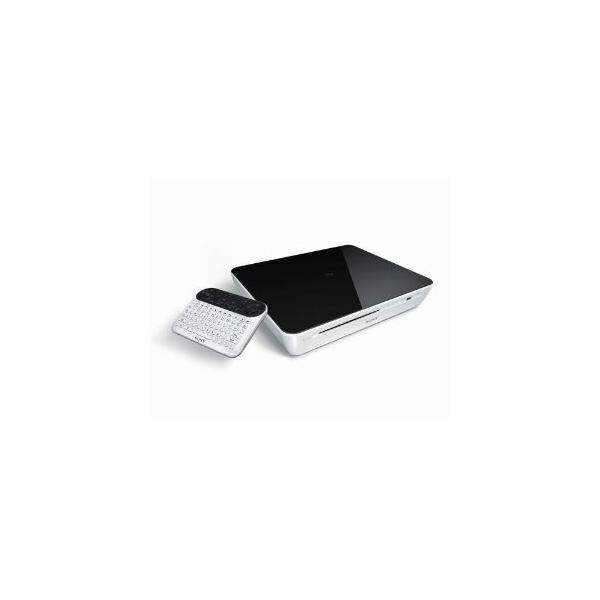 Google TV is also available on Sony Blu-ray Disc players and Logitech Revue. These devices are designed for HDTV owners that don't want to upgrade, but do want to experience the Internet on their television. Both feature Google's Android OS, Chrome browser, and built-in Wi-Fi to connect to the Internet. The Blu-ray player is for those that want to play Blu-ray movies, while the Revue is just for web and channel browsing. The Blu-ray player is controlled with the same qwerty keyboard as the HDTVs. The Revue features a set top box and a wireless keyboard. Still have questions? Looking to purchase, but just not sure what? Is Google TV worth the hype now that you are using it? Maybe you have more to add to our Google TV review. If you have something to add, we'd love to hear from you. Be sure to visit the comments section below!